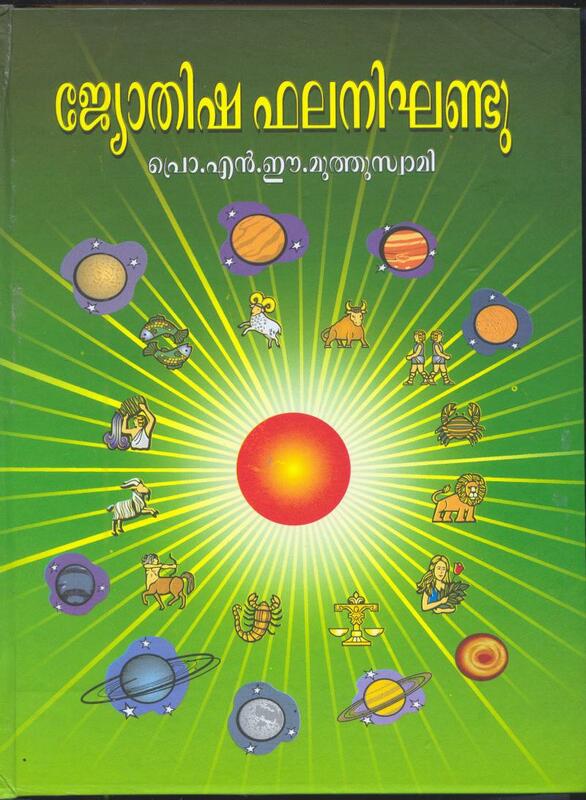 One of the best reference source on Indian Astrology. 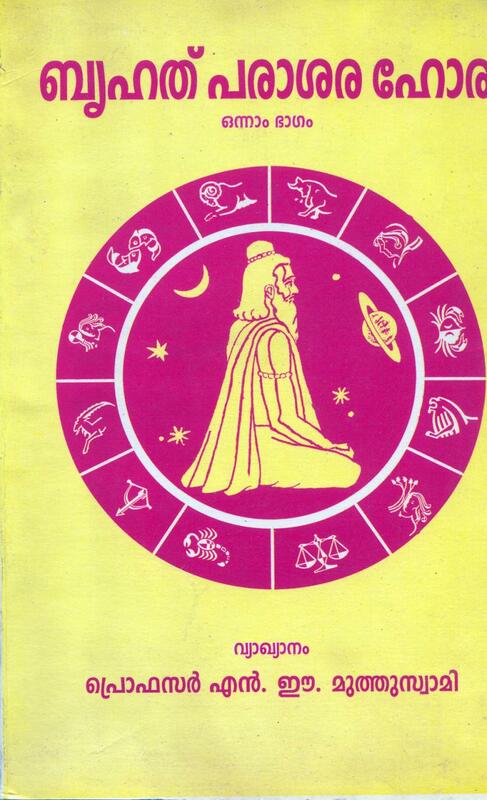 Contains a wealth of information on all the aspects of Indian Astrology. 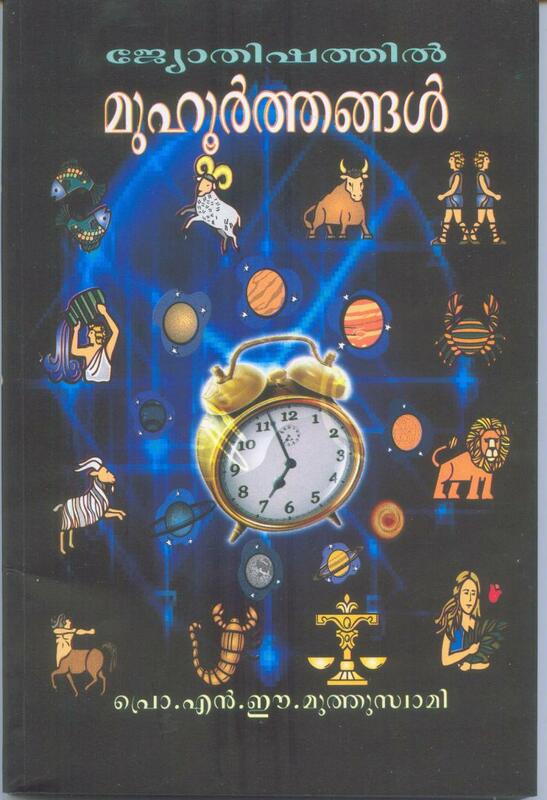 Extensive essays, short details, alphabetical listing of more than 10000 words, concepts of astrology presented in tables and illustrations are the highlights of this book. 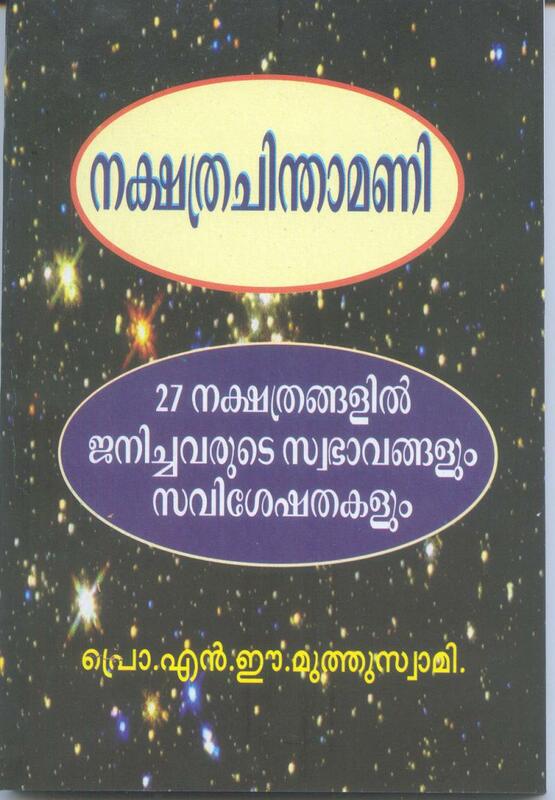 "There is no other book comparable to this enxyxlopaedia of Indian astrology". 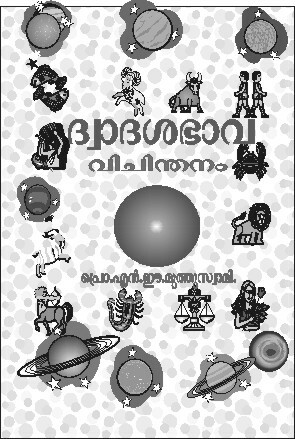 "The Masterpiece work of a life time of the author"
"should be available and read by every learner of astrology"
An excellent book for the starters of learners of Astrology in Malayalam In 5 parts the concepts of Astrology are well presented with examples, illustrations and quotations from Classics. 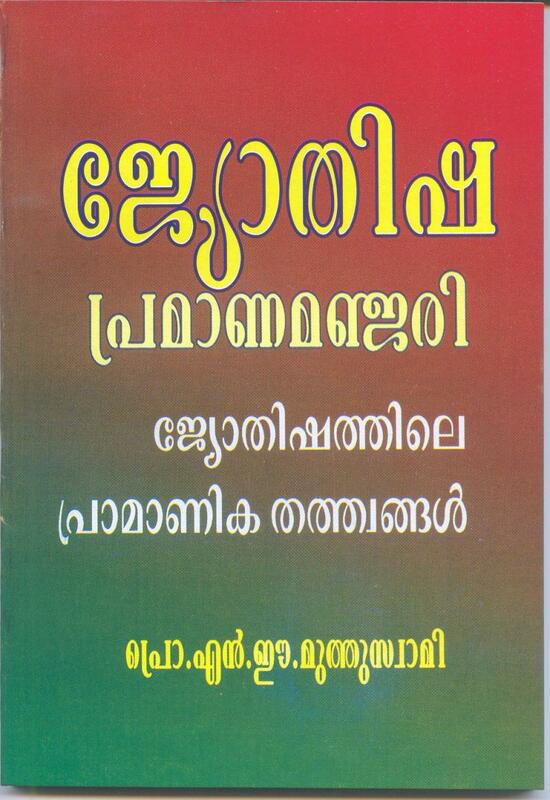 The best part of the book is that the learner needs no other reference book for the completion of the study. 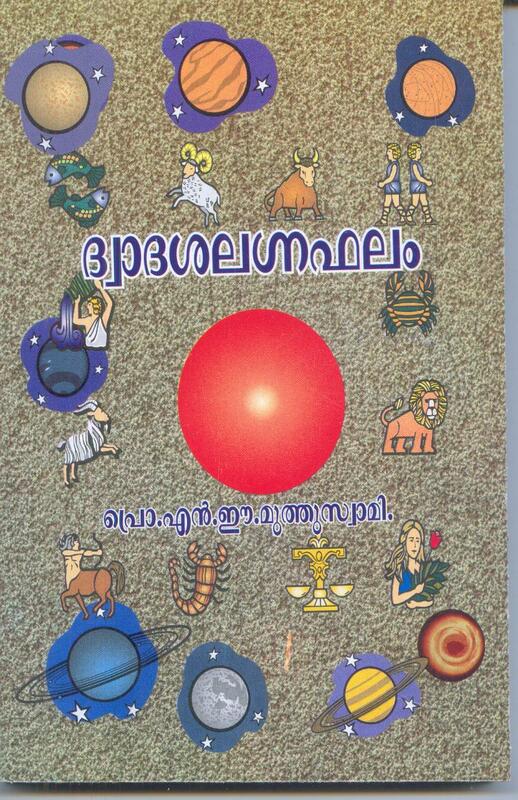 These editions contains a complete rendering of the classics with explanations of important basic reference sources on Indian Astrology in Sanskrit. 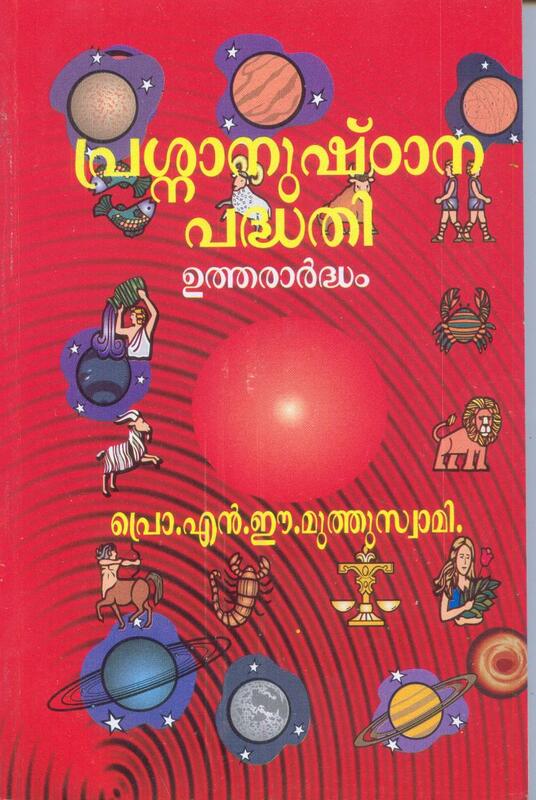 A rare book on Astrology in Malayalam giving the details of using the predicting the native jayakas. 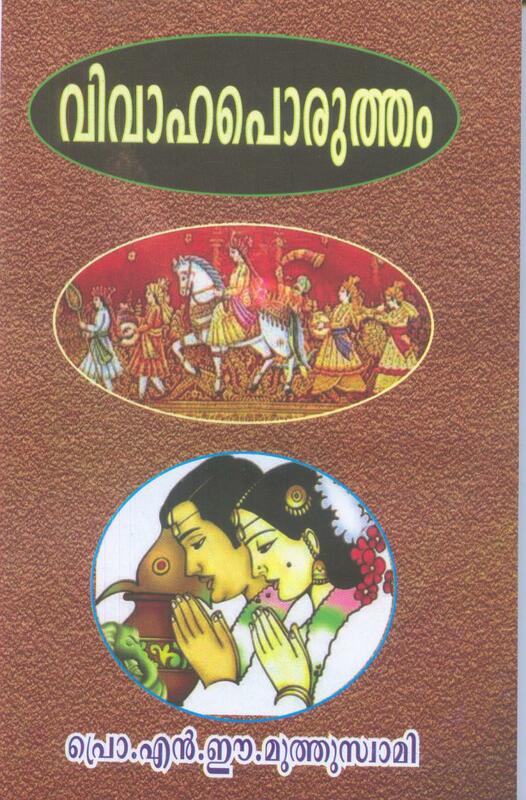 These books on Prasna, the horary in Indian Astrology. 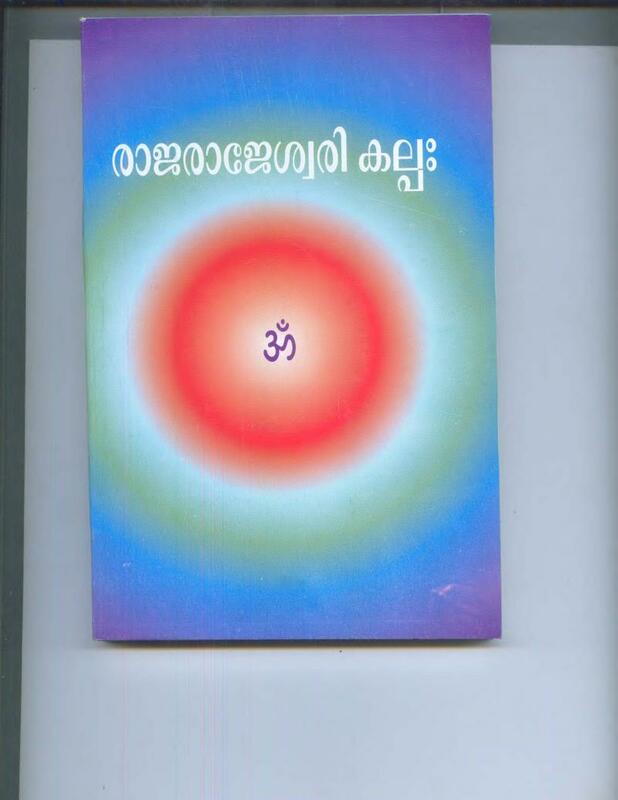 These Editions contains exhaustive explanation, transliteration of the sanskrit text.
" 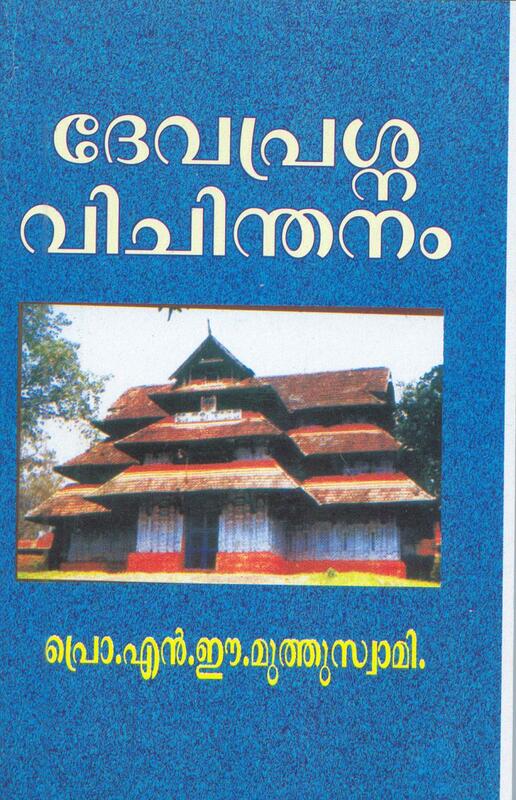 THESE BOOKS FORM AN ESSENTIAL REFERNCE SOURCE FOR EVERY BODY WHO IS INTERESTED IN THE PRASNA BRANCH OF ASTROLOGY"
A treastise on the practice of Devaprasnam written in simple language and with practical application for thepractice of Devaprasnam, which has become an essential tool for the conduct of prasnas in temples, and for finding the problems connected with temples and rituals. Childlessness is becoming a social issue these days. This book delves deep into the horoscope and analyses the creiteria which can solve the issues of childlessness among the married couple. 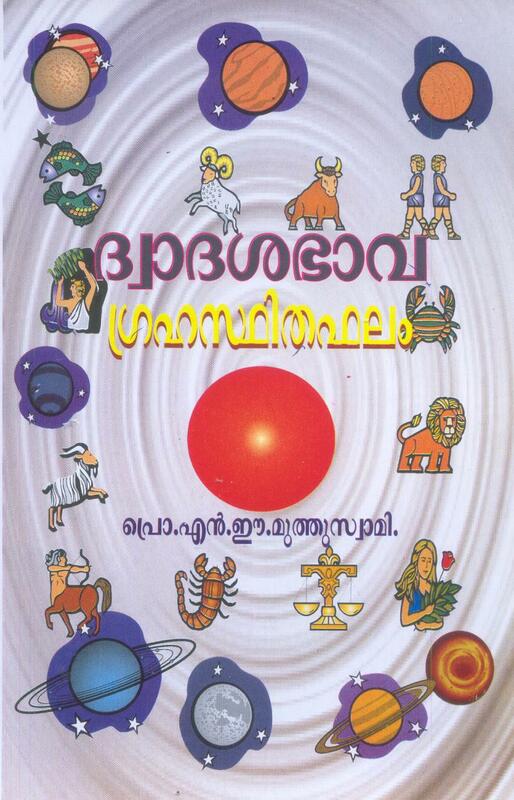 The qualities of the astrologer is well presented in this book. The presentation of these qualities could eanble an astrologer to be more open and make him quality predictions as well. 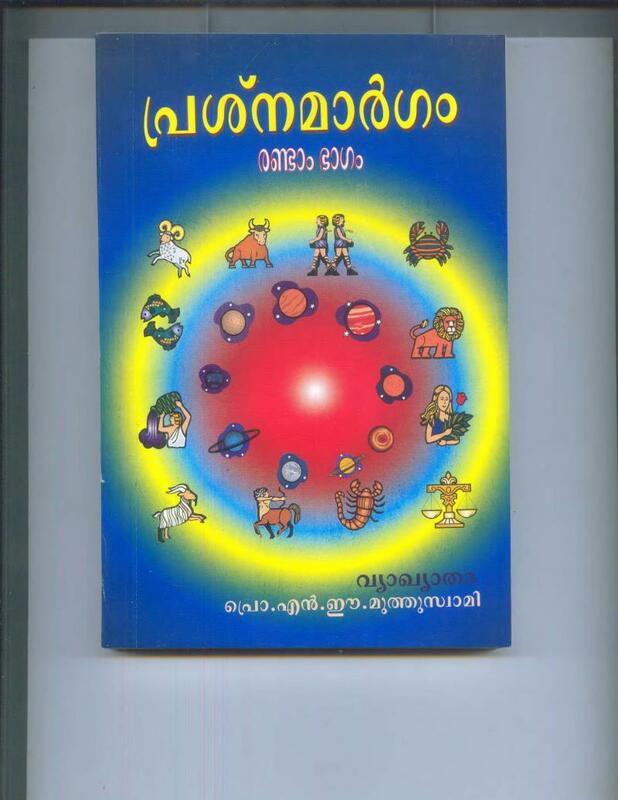 A new edition of the book containing a detailed study in how the matching of the horoscopes of the brides and bridegroom based on astrological concepts.a detailed table at the end gives a ready reckoner for matching of the horoscopes based on the principles of matching. 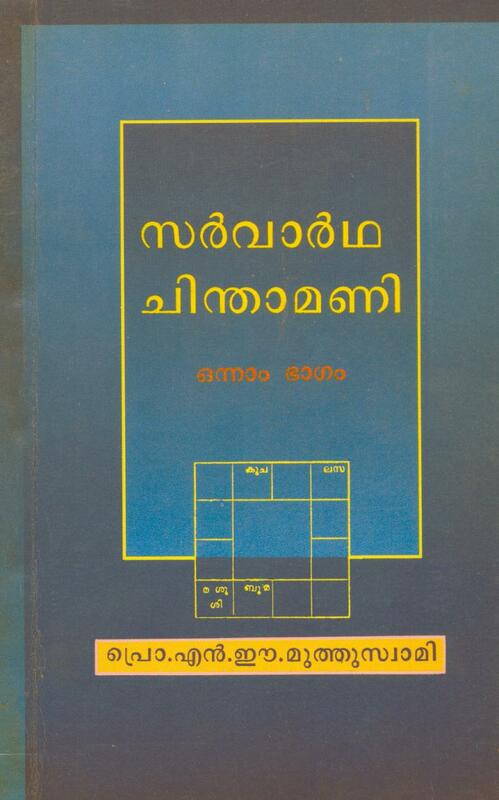 An essential book for the understanding of the concept and theory of Muhoortha casting as essential for the electional astrology. 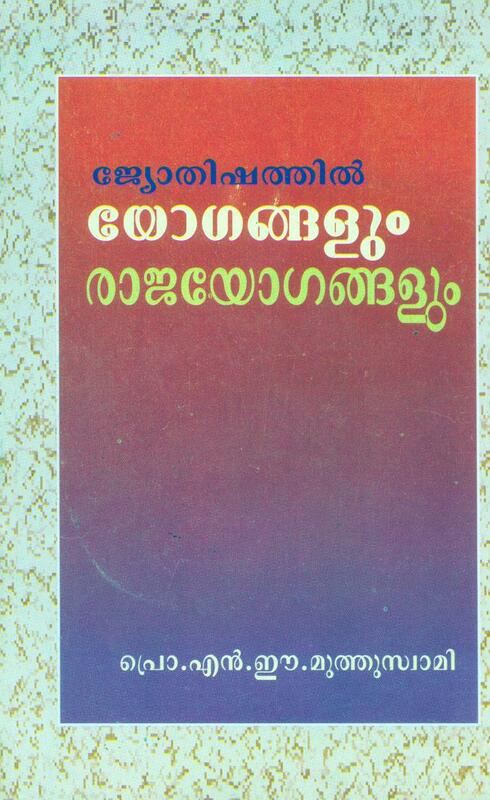 Individual chapters cover the different aspects of Muhoortha casting for various occassions and necessities. 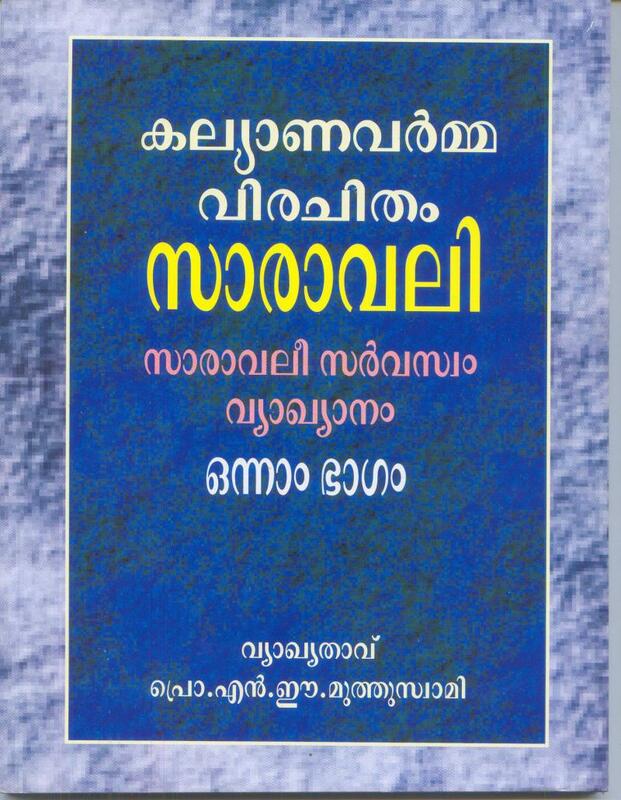 a ready reference for the finding of muhoortha for various occcassions. 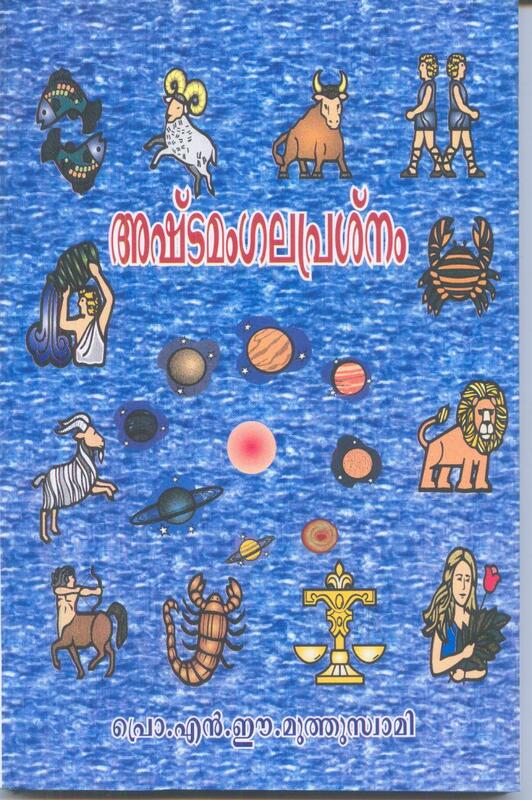 An important book for the analysis of diseases and its treatment based on astrological factors. 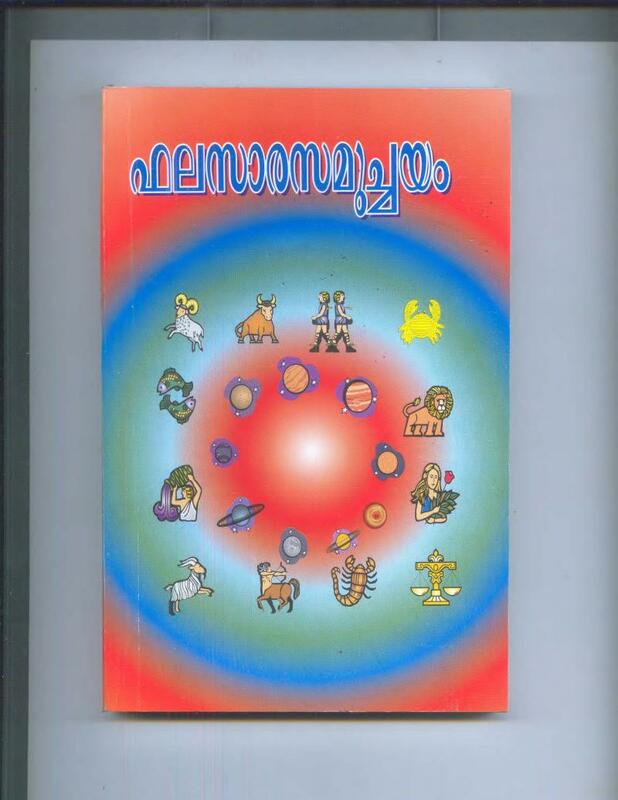 A detailed nakashatra based, nativity based analysis of horoscopes for the analysis of reasons various maladies of the native and possible remedies based on principles of astrology, prasna and remedial measures. 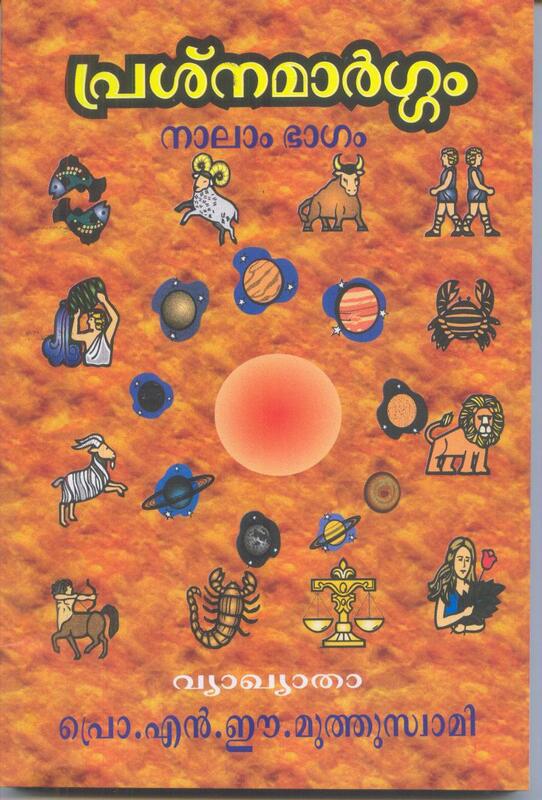 An essential book for everyone interested in remedial medical astrology. 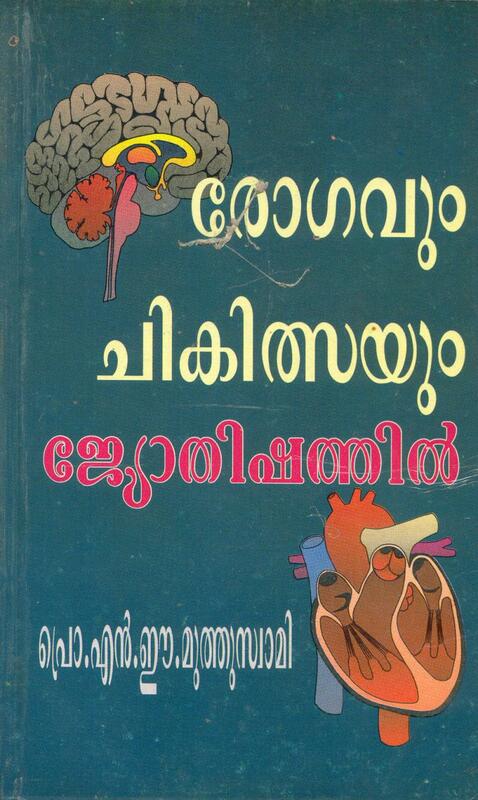 The book containes several case studies relating to the diseases and its astrological reasoning for the maladies. A detailed studf of the book will be helpful in an early astrological detection for maladies in a native horoscope. 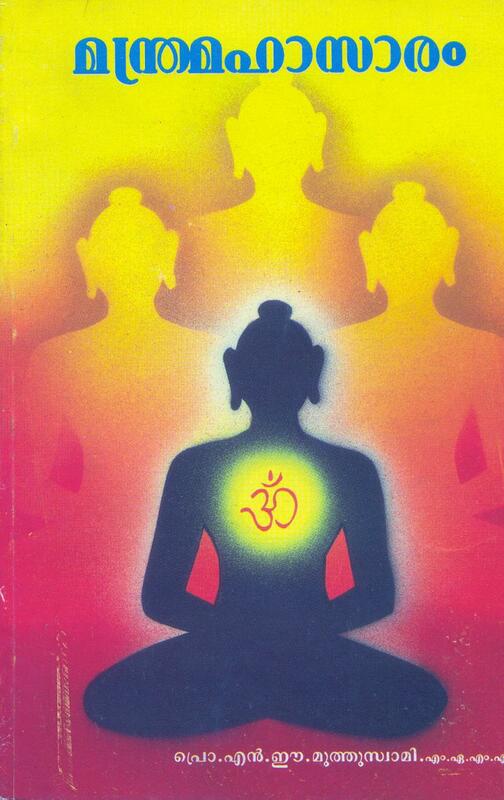 The Yogas in indian astrology forms an imporant aspect for the predictive astrology. 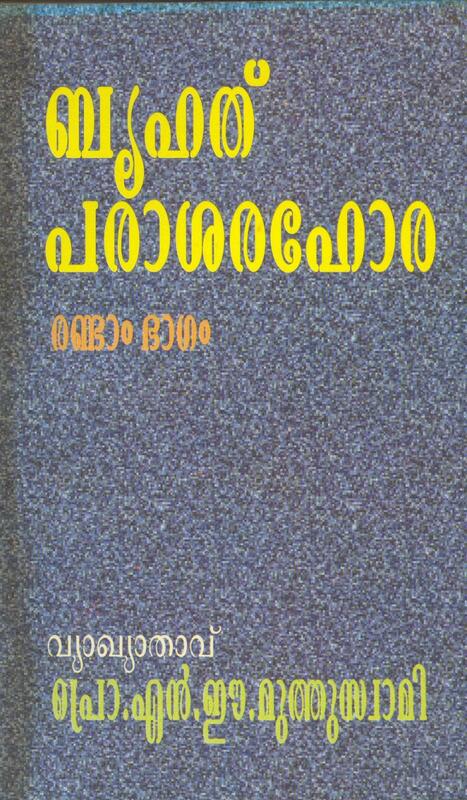 This books deals with the different aspects and classification of yoagas as propounded in various classics such as madhaveeyam, parasara hora etc. 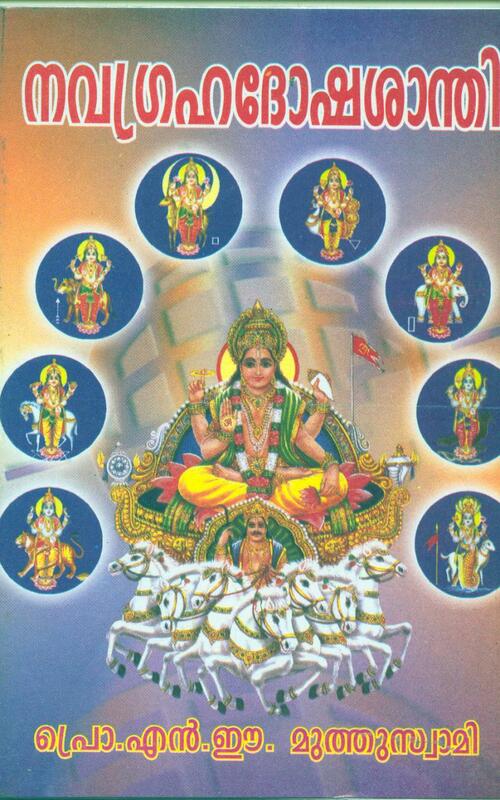 different sets of yogas are classified and their charcted and influence on each horoscope combination is well detailed. 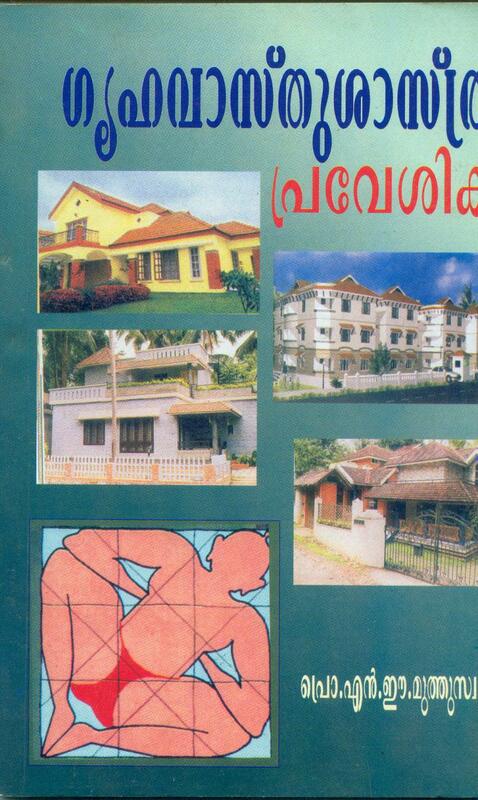 A complete reference book on different aspects of Vasthu for the home. The dos and donts from selecting the plot to the final placements of the articles inside the house are analused in detail. 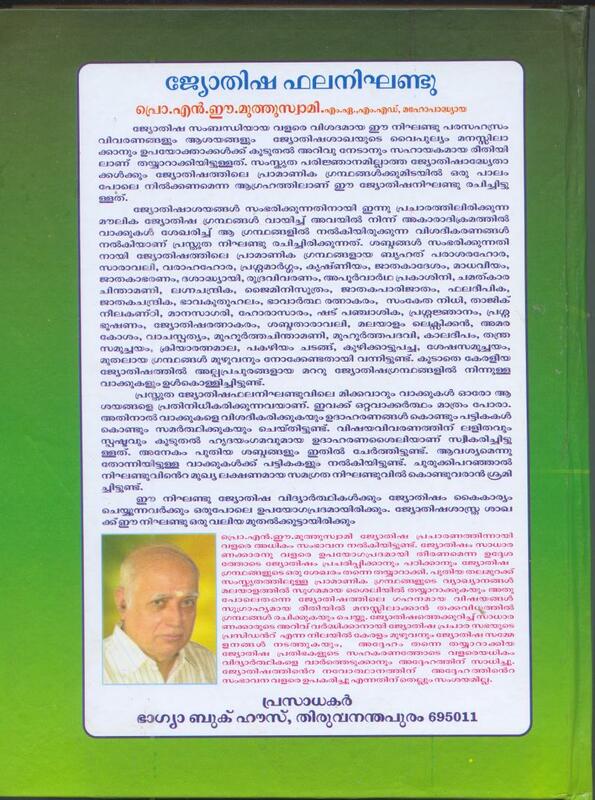 An essential refence on vasthu. 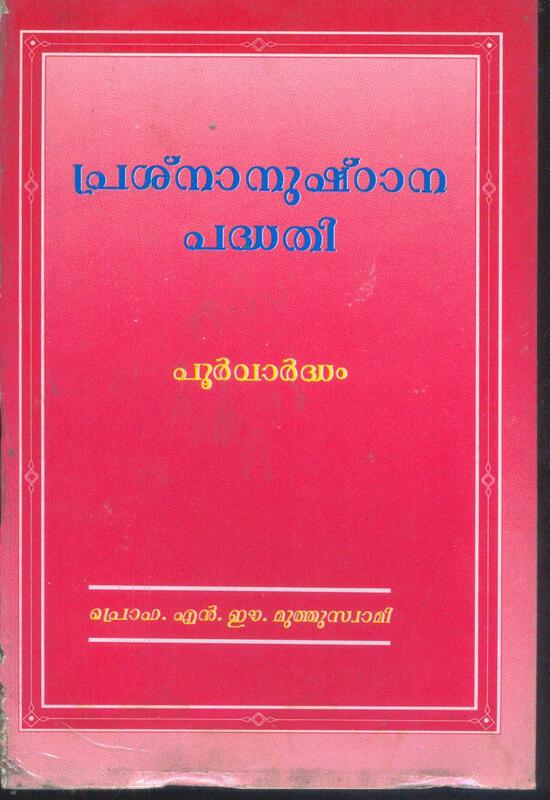 BOOKS ON MANTRASASTRAM CONTAINING DIFFERENT STOTRAS, RITUALS ETC. 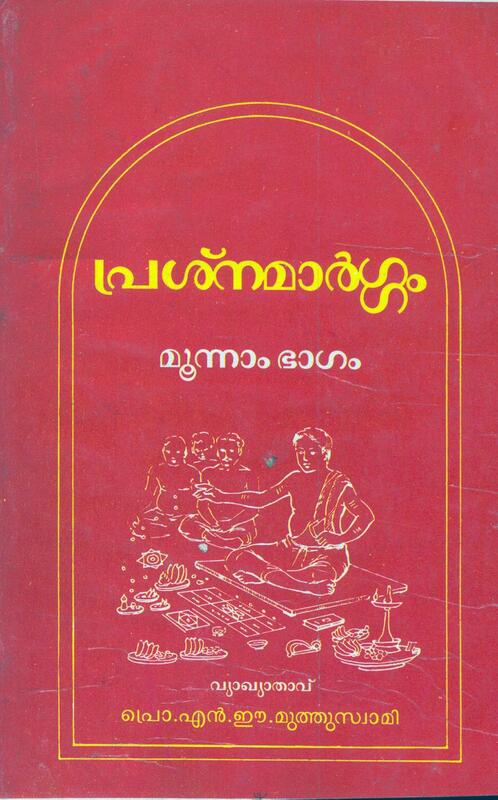 A compilation of mantras for various rituals as practiced on early days in Malyalam. 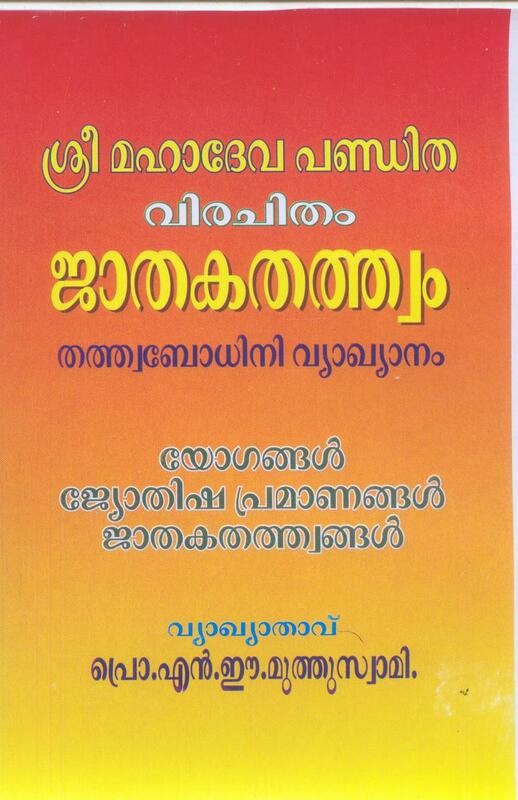 The importance of this book is that it gives rare rural practices which were prevalent in olden days. 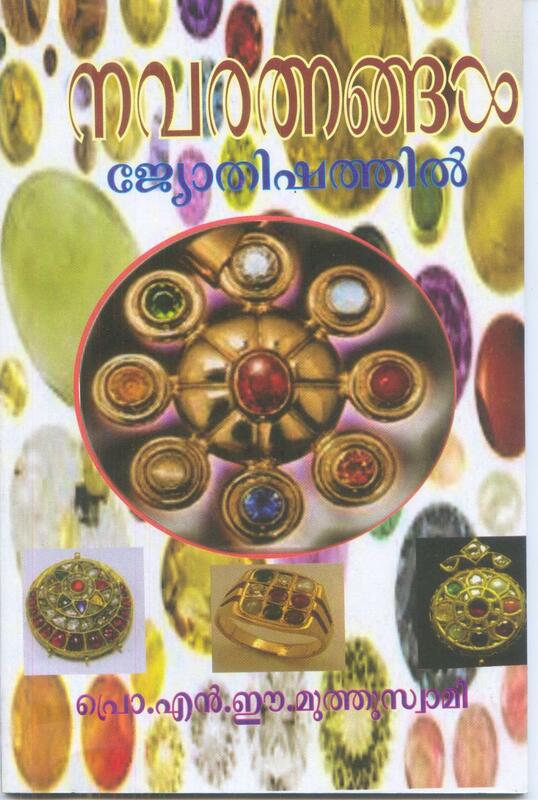 An essentail book for every practioner of rituals and for astrologer as well, for presribing remedial measures. 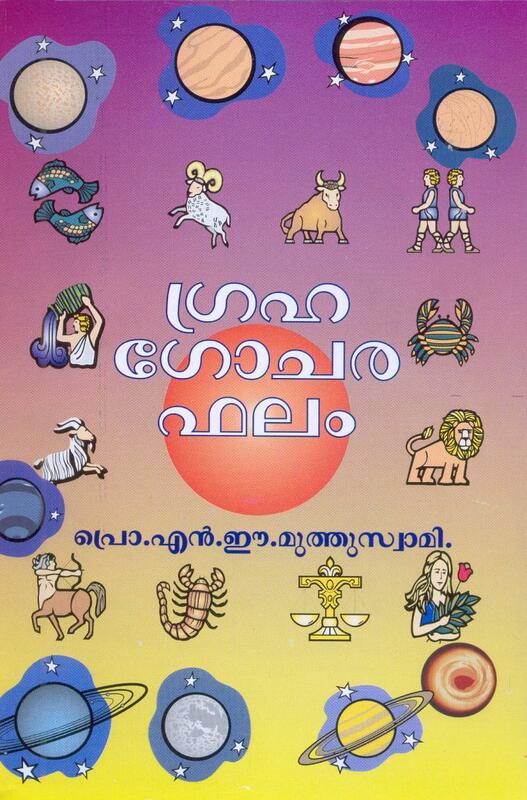 A collection of scholarly essays on various aspects of Astrology written by engineer P K ayyappa Menon.